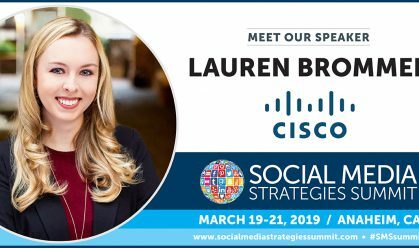 The Social Media Strategies Summit may seem far away, but now is the time to start fostering unexpected connections that will make your time at the conference even more fruitful. Meeting people with diverse perspectives is fundamental to boosting your creativity, both personally and professionally. That’s why making unexpected connections is one of the seven strategies I teach in my new book, Idea Magnets, to help people recharge their creativity. Spend five minutes doing one of these strategies for the next five days and you’ll supercharge your conference experience. 1. Book a reservation for four and organize a dinner. Use Yelp or TripAdvisor to search for well-reviewed restaurants near the conference hotel and make a reservation for four for one of the nights you’ll be in town, then network before the event using the strategies below to find dining partners. 2. Choose a visual conversation starter. Plan to wear the clothing or jewelry you own that most often generates comments from others. (For me, it’s the color orange, which is the color of creativity and innovation.) Another alternative is to wear message clothing. For example, I met this young woman at a marketing conference. 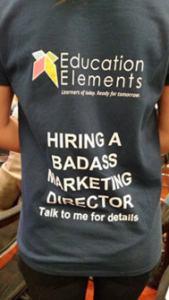 With a shirt like this, I HAD to ask why she was looking for a “badass marketing director” as a new boss. I took photos and tweeted them to help her get attention. What message clothes can you create and wear to start conversations? Something that is visually different will encourage people to strike up a conversation with you and will also help ensure they remember you. 3. 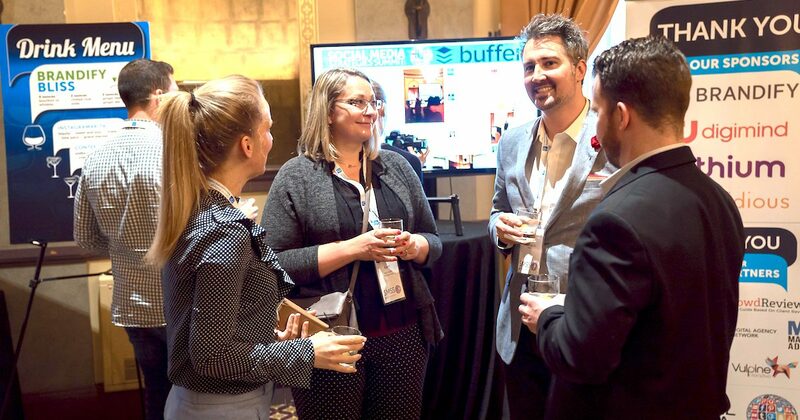 Start interacting with fellow attendees now via social media and the conference hashtag (#SMSsummit). Follow the conference hashtag #SMSsummit on social media, replying with your thoughts. Tag people you find interesting who are using the hashtag with your own conference-related or social media posts. Follow SMS posts shared on Facebook, Instagram, LinkedIn, and Twitter and use the same strategy. Ask and answer questions to start building relationships. Figure out if you have connections to any of the attendees or speakers and use that to start conversations. Don’t be afraid to suggest to people you interact with online to meet up during a general session, breakout, or workshop at the conference. 4. Commit to attending the networking activities. There are opportunities to network at the SMS Summit during the morning/afternoon breaks as well as during breakfast and lunch, and the evening reception will be an incredible opportunity. You’ll be bursting with ideas from the day’s events and, as a result, you’ll have plenty of conversation starters. Don’t let yourself off the hook with the excuse that you are too tired, you need to check in with the office or that you just don’t feel comfortable networking. Make yourself participate. It will boost your confidence that you can enjoy these events on your own, while you look for opportunities to share experiences with others! 5. Prepare now to be a servant leader during the event. Stock up on cough drops, mints, phone chargers, an extension cord, pens, and paper, so you can lend a helping hand to a fellow attendee or speaker that needs it. 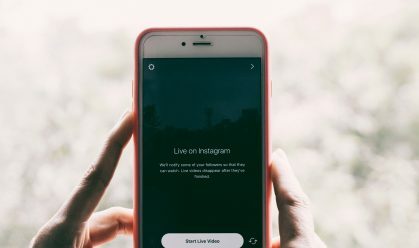 Add your cell phone number or another way to connect with you via social media networks while you are at the conference to your business cards. Make sure to then bring them to the event. 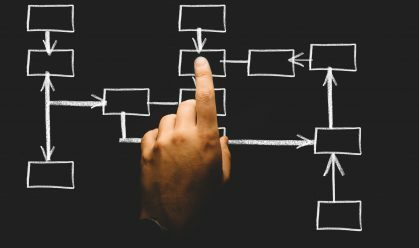 See about coordinating with your new connections to trade notes from breakout sessions or share the big ideas you are learning at the conference. 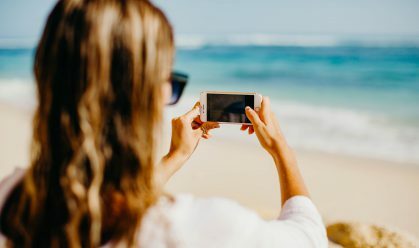 By looking for unexpected connections now, you’ll be able to best capitalize on attending the SMS Summit and finding even more unexpected ways to recharge your creativity. Mike Brown is an author and strategist who specializes in operationalizing design thinking. His latest book, Idea Magnets, helps dynamic leaders to cultivate extreme creativity and innovative success throughout organizations. Mike founded The BrainzoomingTM Group, where his customized, collaborative approach to strategic planning, branding, and content marketing has placed him at the forefront of organizational transformation. 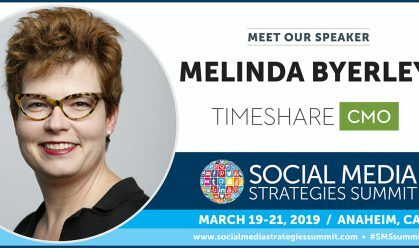 Editor’s Note: Mike Brown will emcee the Social Media Strategies Summit in New York City next month as well as host the pre-summit workshop Wednesday, October 10 Finding and Sharing Your Brand’s Extraordinary Stories on Social Media.